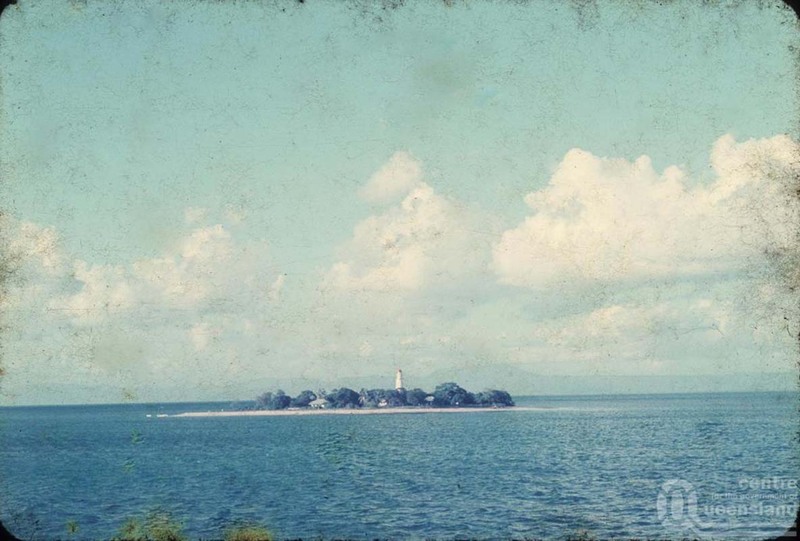 Low Isles Lighthouse | Lighthouses of Australia Inc. The Low Isles tower was constructed on a timber frame with a galvanised sheath in the typical Queensland fashion, however it was the first to have porthole windows. On Queensland’s Great Barrier Reef, the Low Isles (Islets) are 2 small coral cays located 13 kilometres from Port Douglas. They are situated on the western edge of the main shipping channel. 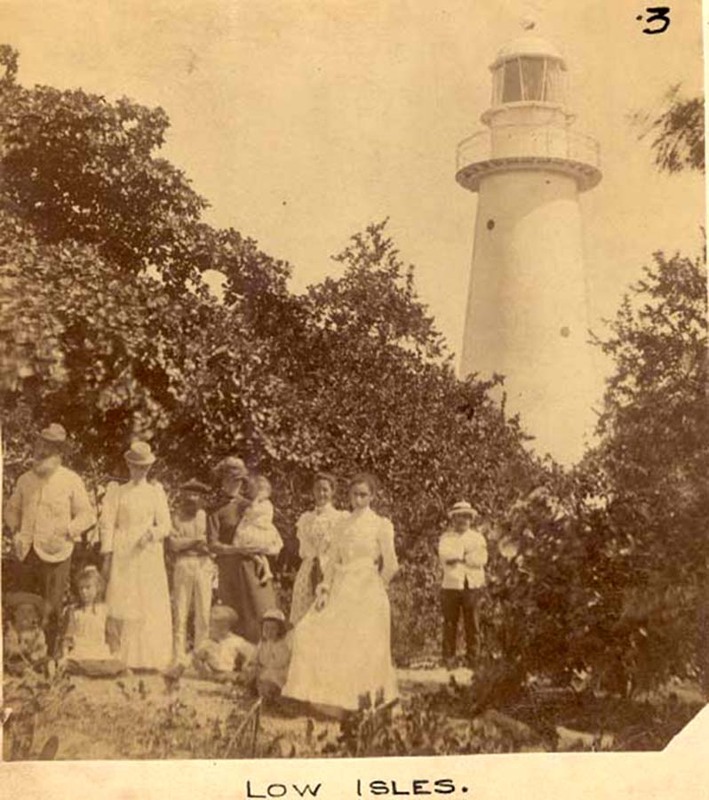 The lighthouse was first recommended by the Chairman of the Queensland Marine Board, Commander George Heath, in a letter to the Colonial Treasurer in February 1876. The recommendation was accepted with tenders being called and the contract subsequently being awarded for £3,195 to Willeam Peter Clark, who had constructed the Bustard Head lighthouse. 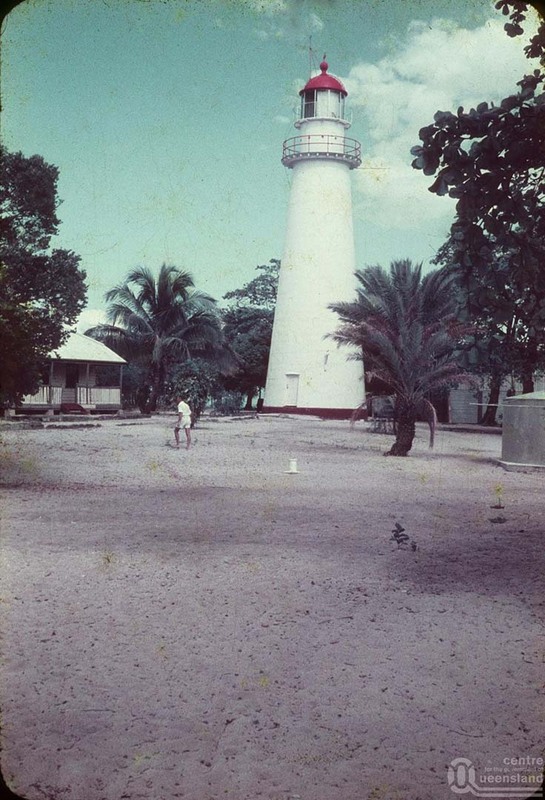 The lightstation, on the flat low lying western island, was completed and exhibited in 1878. The 18 metre tower was constructed on a timber frame with a galvanised sheath in the typical Queensland fashion, however Low Isles was the first to have porthole windows. 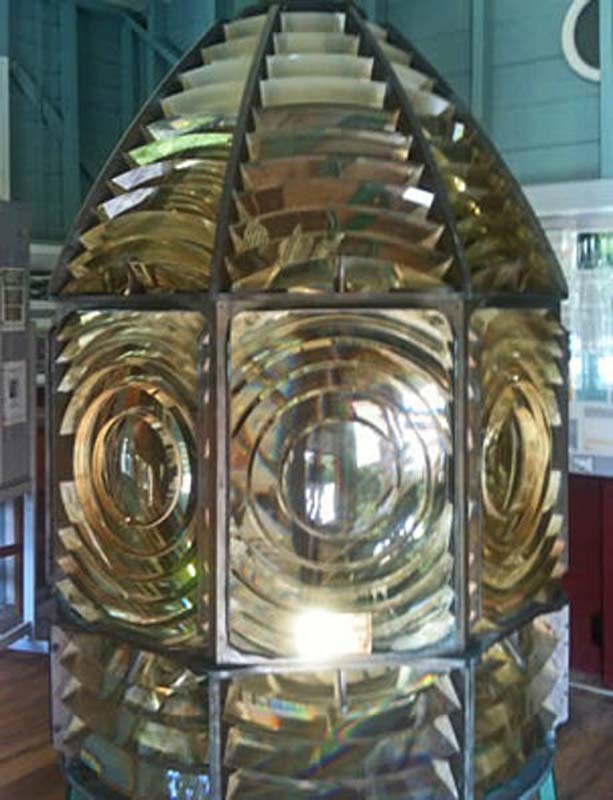 Attached to the top was a 1.5m diameter lantern manufactured by Chance Bros of Birmingham, England. A timber staircase gives access to the lantern room. The tower was painted white with a red dome. All the buildings were prefabricated elsewhere and transported and assembled on site. The original oil burners were converted to vapourised kerosene in 1923, the illuminant and the lights intensity increased from 13,000 to 100,000 candelas and character was altered. The character was altered again in 1930. The light was again upgraded in 1963 to electric operation. At this point the apparatus was a Chance Bros 3rd order 500mm focal radius revolving lens supported by a roller bearing rotating pedestal driven by an electric motor. The solar conversion and installation of a 16 nautical miles self-contained beacon was made in 1993, when the station became demanned. The size of the island has led to a compact arrangement of cottages and sheds around the lighthouse. The original cottages were built in a radial arc around the tower. The same arrangement was used when these cottages were replaced in the early 1960s. The new Keepers’ Residences are nearly identical, with only minor adaptations, such as a kitchen servery in the Head Keepers’ cottage. The new cottages were raised in the tropical style with the area underneath being available for utility areas, workshop and stores. A new fibro boat house was built in 1963. None of the original cottages and buildings remain. 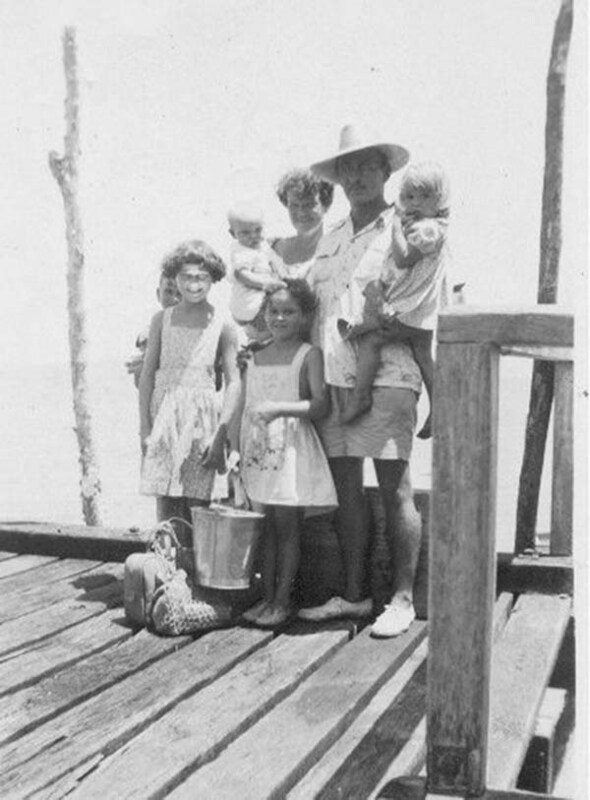 Provisions and mail were brought to the island every two weeks, if they were lucky, by launch from Mossman or Port Douglas. Access for supplies was through a beach landing point on the south-west corner of the island with a designated path for amphibious landing vehicles such as LARCs. The island is well vegetated with trees, particularly at its perimeter, though in the past been subject to severe damage by cyclone activity. 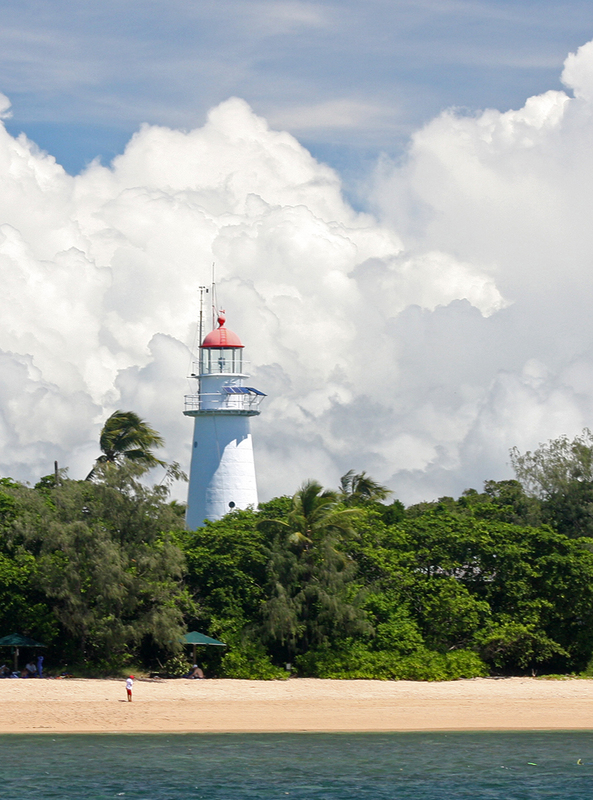 The light was transferred from the Queensland Government to the new Commonwealth Lighthouse Service in 1915. The light was transferred to the Queensland Government and is now under the management of the Parks & Wildlife Service. On the western side of the island is an unidentified grave. The headstone and grave have been partially reconstructed in recent times. 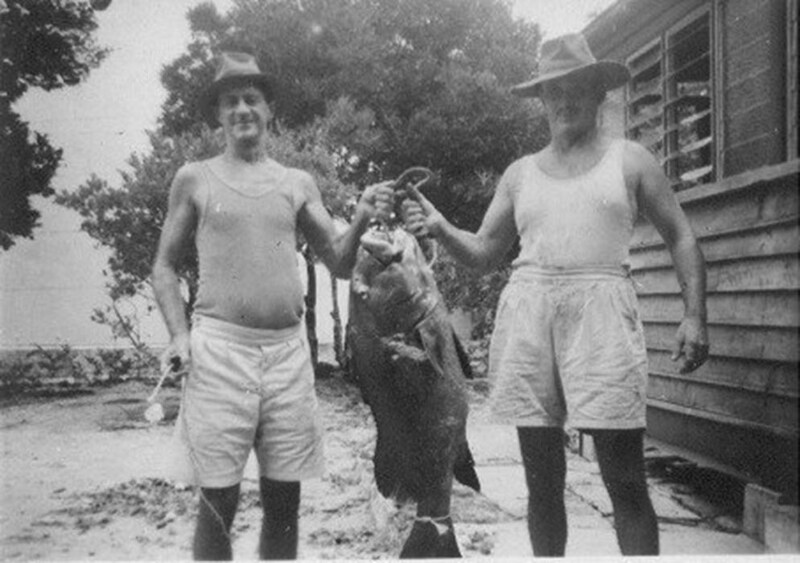 Three keepers manned Low Isles, the head keeper and two assistant keepers. Keepers had one month’s holiday a year and they always left the island. maintenance of the station, i.e. cleaning, raking leaves, painting etc. cleaning and polishing the lens and the lantern room windows. the two assistant keepers: 8pm-midnight and 12 midnight – 4am shift (alternating every week). During a shift the clock had to be wound up every hour and the air cylinder pumped up every hour. Tours of the island are available out of Port Douglas.